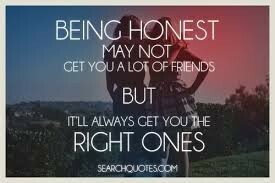 Being honest with people is better for everyone. Being a liar hurts yourself the most because you lied about something and to that person who trusted you. BE HONEST... its only gonna hurt you afterwards.